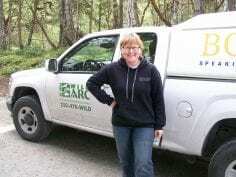 Wild ARC volunteers help wildlife in a variety of ways. They care for the animals at our centre, they advocate and fundraise in the community, and they educate the public about local wildlife. If you’re passionate about your local wildlife, and looking for a challenging, inspiring, and educational volunteer opportunity, you’ve found exactly the right place. Our busy baby season runs from April to September and we need plenty of helping hands to keep our wild babies fed, cleaned and on the road to recovery. 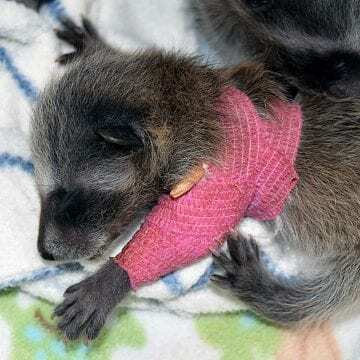 It’s a lot of responsibility – and a lot of elbow grease – to care for these wild animals, but helping them return to the wild is worth every moment! Our animal care team position description (PDF) has all the volunteer details. Perhaps you’re a whiz in the kitchen and want to put your dicing and chopping skills to good use. Our Wildlife Chefs prepare species-specific diets for our wild patients, making sure they get all the nutrition they need to fully recover. Our wildlife chef team position description (PDF) has all the volunteer details. Our Spit ‘n’ Polish volunteers are crucial to keeping our wildlife centre running smoothly. Cleaning kennels, folding laundry and washing dishes may not sound glamourous, but knowing that you’re ensuring our team has exactly what they need to save wild lives is incredibly rewarding. Our Spit ‘n’ Polish team position description (PDF) has all the volunteer details. Our transporters act as ‘animal ambulances’ (while still obeying the rules of the road! 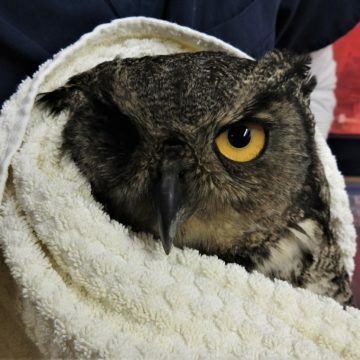 ), to make sure distressed wildlife arrives at our centre as soon as possible. No need to be a daring rescue hero, these team members transport already-contained wildlife in need of a safe ride. Our wildlife transport team position description (PDF) has all the volunteer details. If you’re looking for a way to share your passion for wildlife with others in the community, our Outreach Team is the perfect avenue. Staffing tables at markets and festivals, you have the chance to become a Wild ARC ambassador and highlight our important work. Our outreach team position description (PDF) has all the volunteer details. There’s so much potential for young wildlife-lovers to make a difference. Teaching them how they can help, and introducing them to the wildlife in their own backyard, is an important first step. Our Humane Educators are in high demand to deliver our interactive presentations to local schools. Our humane education team position description (PDF) has all the volunteer details. If you like making connections with local supporters, or are interested in gaining more fundraising experience, our Events and Fundraising Team is the place to start. From benefit auctions to raffles, there’s many chances to help generate much-needed funds to support our work. Our events and fundraising team position description (PDF) has all the volunteer details. If you’re interested in a career in animal health or wildlife rehabilitation, our intensive two-month volunteer practicum program is a great way to gain hands-on experience. Wildlife can be unpredictable, dangerous, and carry disease – we want to make sure our volunteers are safe and prepared to work with these animals. Because of these considerations, our minimum volunteering age at Wild ARC is 19 (although students age 16-18, with parental permission, may volunteer on a graduated intake process). If you’re younger than 16 and passionate about helping wildlife, we’re looking forward to meeting you soon! In the meantime, take a look at the many exciting ways to help local wild animals right now (PDF) – those currently in care at Wild ARC, and those right in your own backyard!